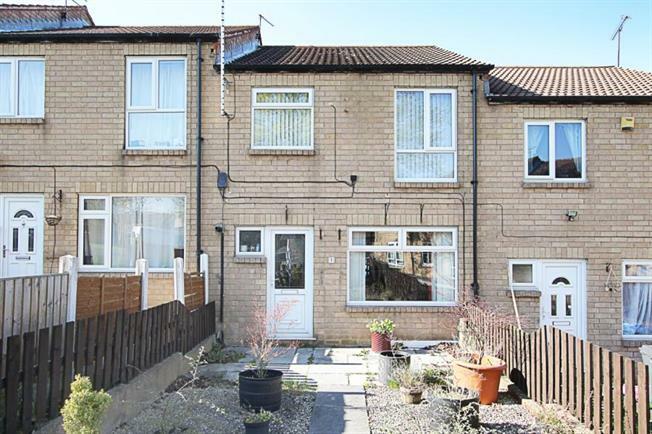 3 Bedroom Terraced House For Sale in Sheffield for £95,000. A generously proportioned three bedroom mid-town house! A superb starter home which must be viewed to be fully appreciated. Well-presented and available to market having an impressive fitted dining kitchen with a fantastic range of integrated appliances and an attractive modern shower room. Having the benefit of gas central heating uPVC double glazing and gardens to the front and rear. The property is well placed for local shopping facilities and amenities including Crystal Peaks shopping Centre, regular bus and tram services and is within easy access of motorway networks. The accommodation in brief comprises: Entrance hallway with laminate floor, storage cupboard, door to ground floor wc and stairs rising to the first floor landing. Front facing lounge also having laminate to the floor and a spacious dining kitchen having a range of wall and base units with integrated appliances to include: electric hob, electric oven, extractor fan, fridge/freezer and dishwasher and automatic washing machine. Rear facing patio style doors access the rear garden. To the first floor landing: master bedroom with built in walk in wardrobes with lighting, double bedroom also with a range of built in wardrobes, bedroom three and contemporary shower room comprising: wash hand basin in vanity unit, low flush wc and walk in double shower enclosure having mains shower with drench head and shower attachment. Ladder towel radiator, tiling to the walls and floor, as well as extractor fan. Externally: To the front of the property gated access leads to a gravelled low maintenance garden with pathway leading to the front elevation, whilst to the rear of the property is an enclosed garden again being low maintenance, well stocked with decked terrace, two garden sheds and green house. VIEW TODAY.